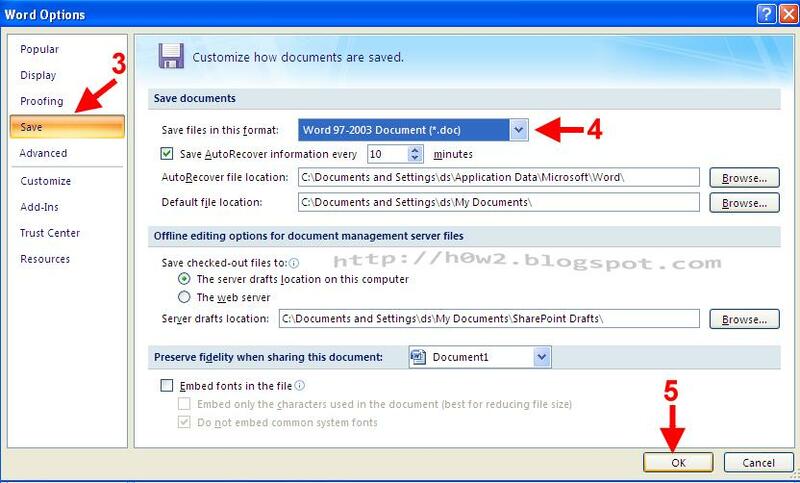 As we all know that the document written in Microsoft Office 2007 format can't be read with MS Office 2003, except in Office 2003 has plugin for reading 2007 format. In this tips, how to make default saving office 2007 format is always to Office 2003 format. Now your Office 2007 saving format is already to Office 2003 format. Do the same procedure for MS. Excel.